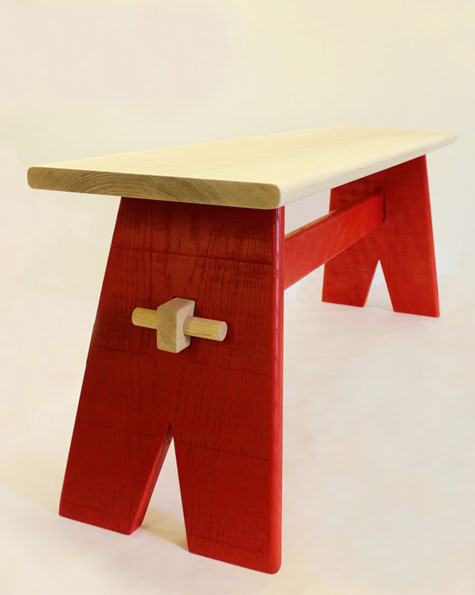 'A' Bench takes the traditional construction techniques of a rustic farmhouse seat and brings it bang up to date for 21st Century living. Ingeniously designed, the ‘A’ Bench simply slots together with wooden pegs. Choosing Ash wood for its sustainability, durability and attractive grain, a splash of colour completes the 'Modern Rustic' design.